Driver Registration Will Open On August 10, 2018 at 8AM EASTERN TIME!! ** NOTICE ** All Drivers and Crew must read the event registration waivers, tech sheet, forms, general event rules and rules & regulations. Quick Reply: It's back! 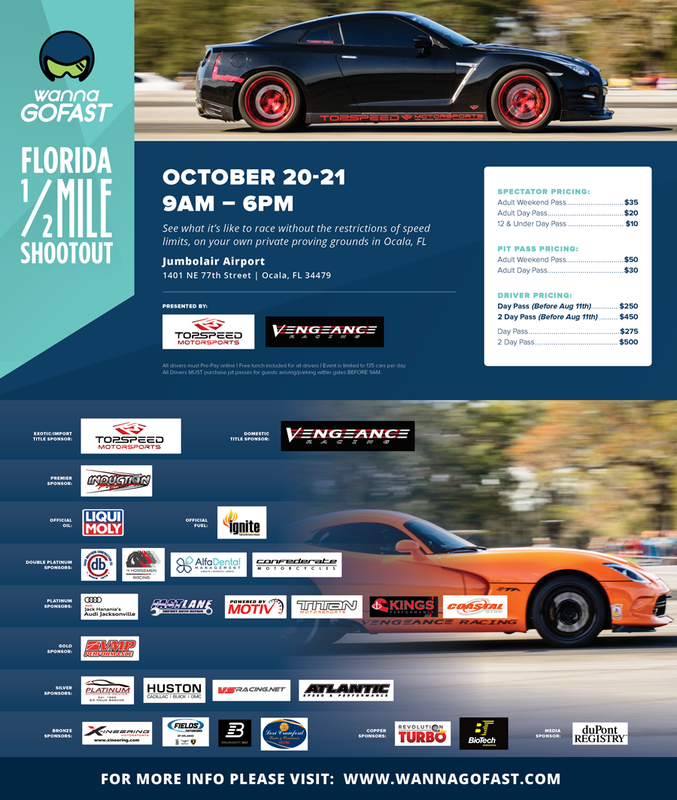 wannaGOFAST OCALA 1/2 MILE- OCTOBER 20TH & 21ST, 2018! !